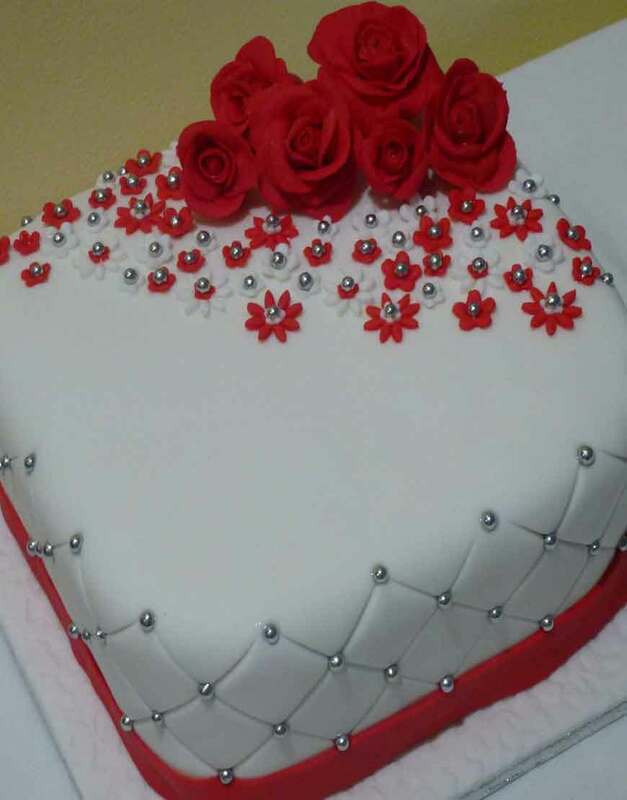 This cake is in the form of comfy bed topped with beautiful red roses made from gum paste. Red color further upsurges the appeal. On your next anniversary, make it more special by cutting this alluring cake. It can also be a great gift option while wishing your friends/ relatives on their anniversary.